Room 4 - A first floor en-suite double - commonly referred to as the "Red Room"
Set on Bath Street in the centre of the wonderful seaside resort of Southport, The Braemar B&B has built its reputation on providing top quality four-star (Self rated) bed & breakfast accommodation. Guests return time and time again knowing that this well-run guesthouse in Southport offers superb value for money. 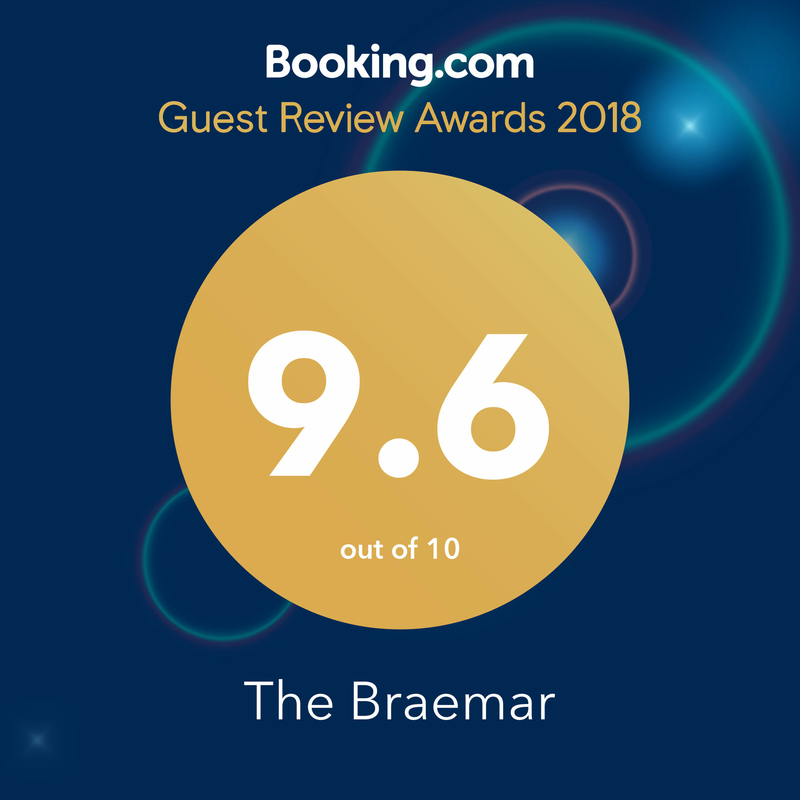 Whether you are visiting friends or family in Southport, coming to Southport to see a show or attending a conference, or looking for a quiet relaxing weekend away in Southport, you will always be well looked after at The Braemar Bed & Breakfast. Get in touch to talk to us regarding your requirements for your overnight stay or weekend away in Southport. Our guests say that the Braemar Southport has a quiet homely feel, whilst being in the centre of Southport. Our TripAdvisor reviews are definitely worth a read and will hopefully help you make your choice to stay with us. 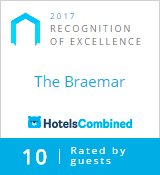 We can sleep 14 at the Braemar, so if you would like to take over the whole hotel for a wedding starting point, conference visit, working group or just need a bed for the night for members of your family, the Braemar hotel can provide you with excellent overnight accommodation and a deliciously cooked breakfast in the morning. 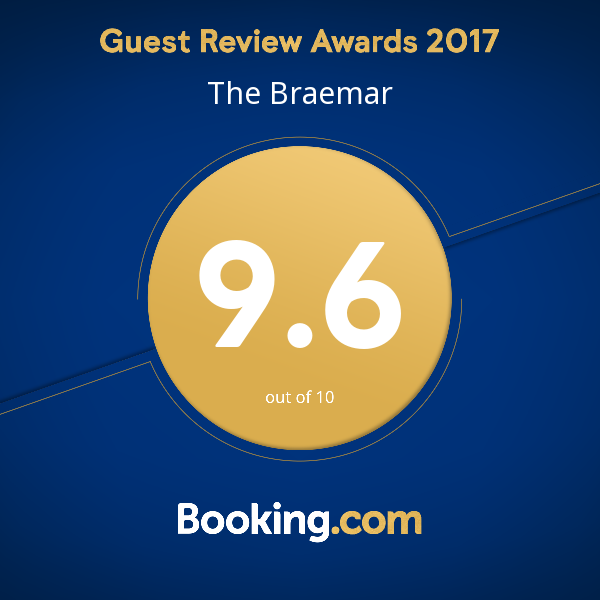 The rooms at the Braemar B&B are individually designed and beautifully kept and there is a no smoking policy throughout for added comfort. Free Wi-Fi access is available to guests and The Braemar is also licensed to sell alcohol. Eight championship golf courses are practically on the doorstep of the Braemar B&B, so if you are playing golf in Southport or the surrounding area and need top class bed & breakfast accommodation in Southport and need your golf clubs and equipment looked after securely, then the Braemar Bed & Breakfast is the place for you. You will also find shopping galore in nearby Lord Street and the smaller side streets in the area. The Braemar B&B is a golf friendly hotel. We are in the process of installing a drying area for clothing or equipment, inside our secure storage room, which is also suitable for bicycles. One or two of our guests think that we are quite good!!! forward to assisting you in making your stay in Southport a great one.